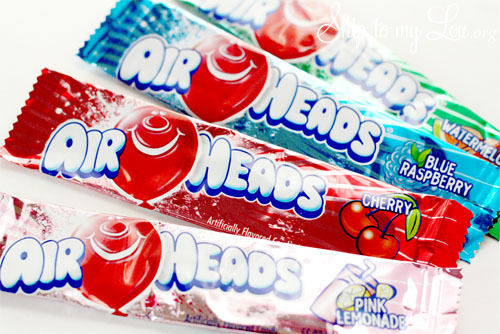 We love ourselves some AirHeads® candy at our house! I have a fun way to to use this yummy candy to make taking tests at school just a bit sweeter! 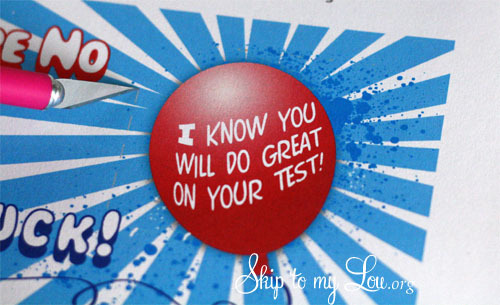 This printable is the perfect way to remind your special student that they are no ‘airhead’ and wish them luck with their test. Download file and print on cardstock. Cut out the note and make a slit on the dotted line. Thank you AirHeads® candy for creating and reliving happy memories for me by sponsoring this post. Create and share your memories with AirHeads® on Facebook. There are more great ideas for crafts and recipes using the candy your family already loves. What a cute idea. Thanks for all your great giveaways you have been doing! Your blog is awesome! This is such a cute/great idea!!! LOVE. IT!!! Pick me for the Cameo! I love your blog! such an adorable idea! will have to save it for the state & district tests! 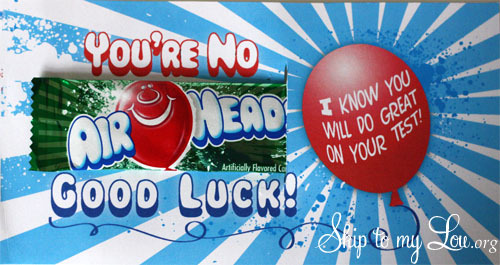 This is adorable...unfortunately, I wouldn't have any Airheads left for the kids. Very cute! I'll have to keep this in mind for when my son is old enough for things like this! Loving your posts! Great ideas. This is cute! I'm pinning it so I can remember! 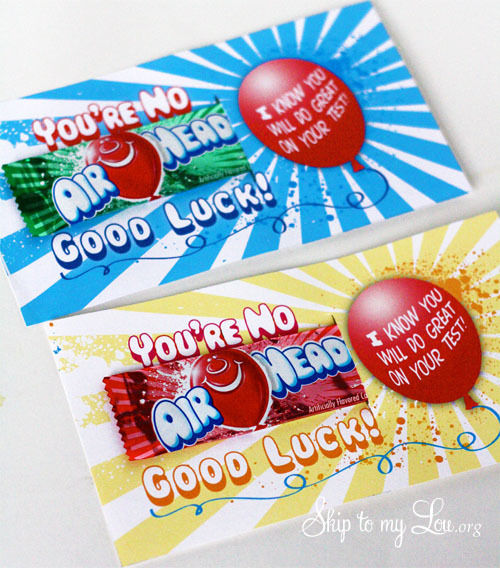 This printable is so fun and I LOVE Airheads! Thanks for sharing! thanks so much! this is really cute! Hahahaha... that's so sweet. Brilliant idea. But, school just started, it's perfect for spring season when the district, SAT's, & Aims, etc test(s)come out.